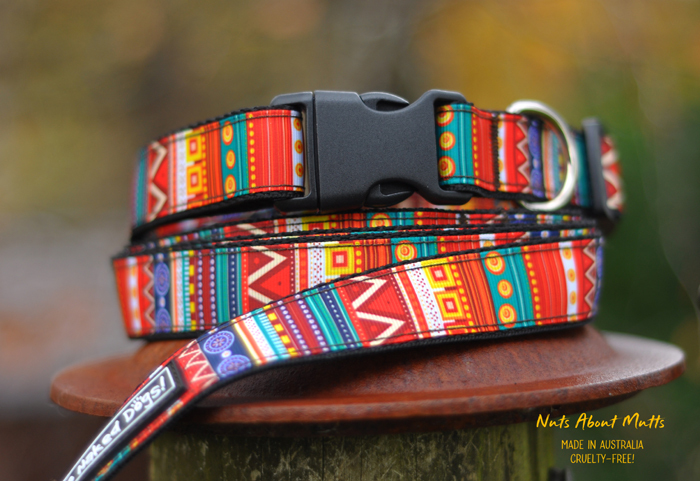 No more boring dog collars! Beautiful tribal print in rich tones of red, browns, blues.. Stunning! MATCHING LEADS 1.2m long x 2cm wide. Suitable for small to medium-sized dogs. Don't see your dog's size here? Please contact info@nutsaboutmutts.com.au and we'll make one up for you!